Additionally to our memberships, we provide individual support and professional SobiPro design services. As the makers of SobiPro, we know SobiPro best of all. If you are looking for a professional team in custom SobiPro applications, responsive SobiPro templates and individual help with your website, we are the best choice. 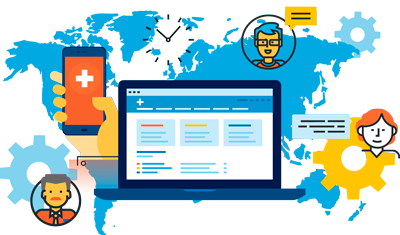 As the leading company for SobiPro development and design we are having the expertise to provide you the best solution for your SobiPro powered site. Do you have a SobiPro powered website and need more help than the standard support includes? Do you need customisations of the standard SobiPro template? We are here to help! Please check the list below or tell us what you need and we tell you if we can do it. Our hourly rate for Individual Support and Template Design is 70€ net/hour (VAT may be added if applicable). SobiPro template customisation We can modify any existing template (3rd party or standard template) to meet your needs. SobiPro custom template design If none of the ready-made templates we offer fit your needs, we can create your own custom SobiPro template for you (from scratch or based on an existing template). Data import or export Do you have data from a different site or spreadsheet to import? We can do that for you! Do you want to get your SobiPro data exported for further use? Also that we can do for you! Component and applications installation Do you want us to install SobiPro and our SobiPro applications for you? No problem at all! Configuration of SobiPro and its applications Do you want us to configure SobiPro and our SobiPro applications for you? We can do! 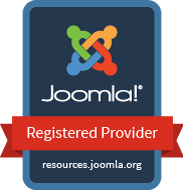 Update Services Need to update Joomla! or your SobiPro and its applications to the most recent version? This is the right place for you. Upgrade your SobiPro 1.0 SobiPro 1.1+ brings the Bootstrap framework to SobiPro's front-end templates, which means there are some things to consider and changes have to be made on your site. We can upgrade your SobiPro 1.0.x to the latest SobiPro version for you, including all necessary template modifications. Migration of Sobi2 to SobiPro Do you still have an old Sobi2 website and wants to migrate to SobiPro? We are here to help. Contact our support team directly Get individual support via Skype, Google Hangout or email. Understanding Joomla! and SobiPro We offer help in understanding Joomla! and SobiPro. Your problem is not listed above? Tell us what you need and we tell you if we can do it. This service does not include changes in SobiPro or application's core code or software (application) development. The installation and configuration services include the installation of SobiPro and applications you need, a basic configuration of SobiPro and the configuration of one directory/section. We will do the base setup for you, so you only need to tweak the site to get it ready. This service includes one month of access to all documents in the Information Center, to all Silver applications (class I and II applications) and to our standard ticket support for SobiPro and the class I and II applications. Read more about our club applications. Installation of SobiPro We install SobiPro for you in your Joomla. The lastest Joomla! version should be installed. Please make sure beforehand that your server fulfils the requirements for Joomla! and SobiPro. Installation of Applications SobiPro Applications are additional features for SobiPro. We install and configure up to 5 applications for you. Configuration of one Directory with Categories We add and configure one directory/section with up to 50 categories and the default SobiPro template. Setup different Fields We add up to 20 fields to the directory/section. Setup SobiPro Permissions We will adjust the SobiPro permissions for the users of your site. 1 Month Access You will get 1 month access to the Silver member benefits. All Silver Applications (Class I & II) For one month, you will get access to all class I and I applications for SobiPro available for Silver club members. Check out the list of our club applications. Standard Ticket Support for SobiPro and Silver Applications You will get access to our ticket system for one month. Find answers and get help from our support staff for SobiPro core component. Online Documentation You need a manual? You will get access to the online user documentation for SobiPro and its applications for one month. Access to SobiPro Online Help System By clicking on the Help button in your SobiPro administration panel, you will be redirected to the club documentation with a list of appropriate documents related to the view on your SobiPro administration (context-sensitive help). This feature is active for one month. This service is meant for customers who are not familiar in creating a website, especially with SobiPro and it does not include design and/or layout for a SobiPro nor Joomla! template. If you need SobiPro template design we recommend our Individual Support and Template Design. We offer this installation service ONLY for the most recent Joomla! version. If needed, we will update Joomla! for you for a fee. The SobiPro development team is very small, therefore we can fix bugs in SobiPro and its 22+ applications only successively. The order we have may not seem reasonable for you, but we have to consider all bugs of all applications and SobiPro as a whole. Of course for you a bug in the application you use has the highest priority. You can get a bug fixed earlier if you pay a priority fee. This fee depends on our internal priority list and the importance of the bug fix. If not explicitly agreed, SobiPro applications are not included in the services. We offer our services on an hourly basis, one hour at least. As all of our services, they have to be paid upfront. The communication is in English language. The manual is available in English language only. If you have further questions, please check out our answers to frequently asked questions or contact us directly.